Bhaja Caves located at some 400 feet above the Bhaja Village, near Lonavala in Pune Maharashtra, were built around the 2nd Century BC as a group of 22 caves, all facing the west. 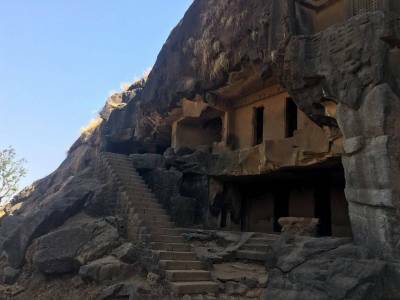 The Caves shed light on the culture, traditions, and life of that era and also represent the magnificent architecture that stays intact even today. 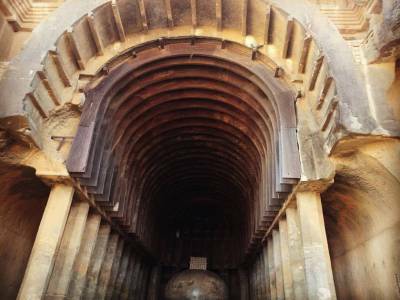 Bhaja caves are rock-cut Buddhist temples, which fall along the trade route of ancient times, which is said to be from the Arabian Sea to the Deccan Plateau. 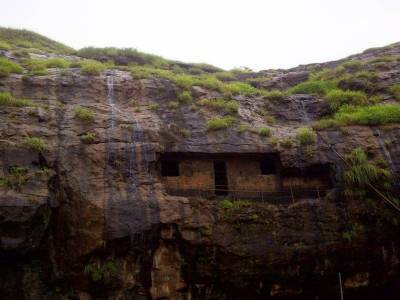 These caves are said to derive inspiration from even older, Barabar Caves. These caves are built with 14 stupas, which were used for meditation. The carvings in these 22 caves pave way for significant observation from that era. The Twelfth cave or the “chaityagrah” is the grandest of all the other caves and is noted for its impressive wooden architecture. 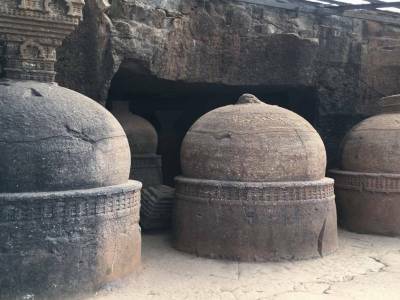 In these caves one will find only the symbolic representation of Buddha which was prominent in those days, unlike the physical representation which is used now from depiction. These caves are a star attraction for tourists who are highly delighted to visit this ancient architectural marvel. One can easily reach the place through different means of transportation. 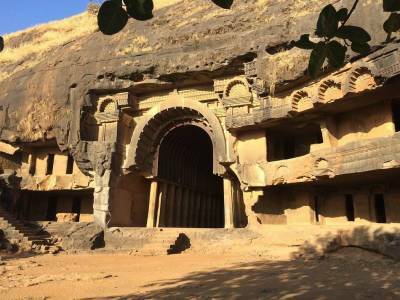 Get quick answers from travelers who visit to Bhaja Caves.